We help people live happier, healthier lives in the comfort of home for longer than would otherwise be possible with personalized client care plans. Our primary objective is to match the caregiver’s skills and personality with the client’s individual needs. We serve the SW region of the Minneapolis/St. Paul area. 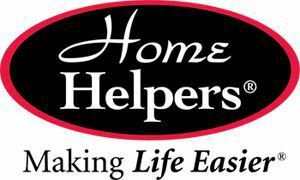 “My experience with Home Helpers in caring for my 91 year old in-laws was a positive one. The genuine oversight, consideration and attentiveness displayed by owner Judy K is worthy of complete trust. She showed true courtesy, mindfulness and regard for those in need and family members as well. She is completely absorbed in providing the best protection and regard for the dignity of my family. The care was above and beyond my expectations! Thank you from the bottom of my heart!” …… Loraine O.